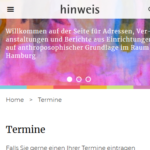 The new website for anthroposophical magazine "hinweis" for addresses, events and reports concerning Anthroposophical institutions in Hamburg is now online. Realized by STADTKREATION in charge of the "hinweis" editor and Gemeinnützige Treuhandstelle Hamburg. Design: Liane Haug. STADTKREATION wishes a good year 2019! We wish all clients, partners and all those who got and get in touch with us a good start into a wonderful year 2019! 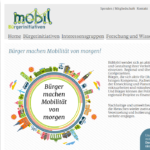 The Wordpress relaunch of sustainable mobility association Bürgerinitiativen Mobilität (BüMobil) e.V. is now finished. 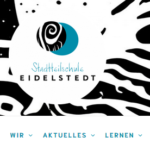 The new school website of Stadtteilschule Hamburg-Eidelstedt is now online. Realized by STADTKREATION in cooperation with designer Nicole Kabierschke (Hamburg-Eimsbüttel) and Thomas Schulze - Change Communication. Programmend using the Hamburg school CMS based on Wordpress. 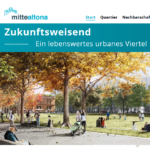 The new information website for the new neighborhood of Mitte Altona (Hamburg) is now online. Realized in charge of SUPERURBAN Kommunikation and in cooperation with Dominik Straka for neighborhood manager Pro Quartier Hamburg. 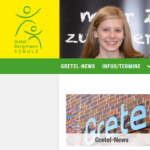 The new school website for Gretel-Bergmann-Schule Hamburg-Neuallermöhe is now online. Realized by STADTKREATION with TYPO3 CMS. Layout based on the corporate design developed by Torge Niemann. The new website for "Ostaria Posta" hotel (Picolin, Dolomites, South Tyrol) is now online. Realized by STADTKREATION in co-operation with Büro Klass. On the website Strategien gegen Lärm, the online participation for noise action planning Braunschweig took place from April 9 until May 10, 2018. Realized by STADTKREATION in charge of konsalt GmbH. 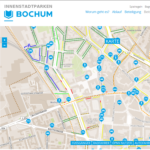 On the website for Inner city parking Bochum, information about the city parking concept has been published. Also, the online participation for the project took place from Aril 9 until My 7, 2018. Realized by STADTKREATION in sub-charge of VSU GmbH for the City of Bochum. 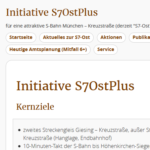 Online since yesterday: The new website for Initiative S7OstPlus in Munich, realized technically and graphically by STADTKREATION. 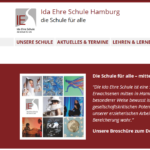 The new website of Ida Ehre School Hamburg is now online. Technical and graphical realization by STADTKREATION using Wordpress CMS. Until 15.04.2018: Write down your future story for Lübeck! Together with TOLLERORT, cappel + kranzhoff, and SHP Ingenieure , STADTKREATION is in charge of the City of Lübeck to implement the project for the future image and general old town planning for Lübeck. The first phase of the online participation is active until April 15, 2018. Participate and write down your future story here! 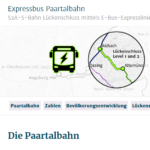 The Expressbus Paartalbahn project website, realized in charge of Bümobil e.V, is online since March 1, 2018. STADTKREATION implemented the website technically and graphically and created the project maps using QGIS, based on Openstreetmap data. 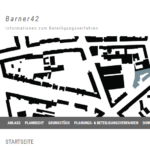 Online since a few days: The information website for Barner42 building project, Hamburg-Ottensen. Realized in charge of konsalt GmbH. 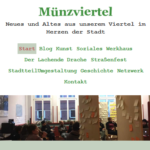 A project for STADTKREATION's old neighborhood: The comprehensive relaunch of Münzviertel neighborhood website has been finished today. The old website and the extremely active blog have been combined, with the main part of the graphical features remaining as before. 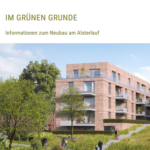 Online since today: The information website for "Im Grünen Grunde" project, Hamburg-Ohlsdorf. Realized in charge of konsalt GmbH. STADTKREATION wishes Merry Christmas and a good start into a healthy and successful year 2018! Seit November 2017 bearbeitet STADTKREATION in Kooperation mit cappel + kranzhoff - stadtentwicklung und planung den Sachlichen Teilflächennutzungsplan Windenergienutzung für die Samtgemeinde Fredenbeck. Arbeitsschwerpunkt: Erstellung der Planzeichnungen mit Abstandspuffern in QGIS. 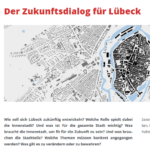 Since November 2017, STADTKREATION works in co-operation with TOLLERORT - entwickeln und beteiligen, cappel + kranzhoff - stadtentwicklung und planung, and SHP Ingenieure on the large project "Masterplan Lubeck inner city with mobility concept and participation process" for Hanseatic City of Lubeck. Johannes Bouchain is formally registerd as freelance Urban Planner within the architectural association of Hamburg since Nov 6, 2017. The new Website for building company Hercksen is now online. Realised by STADTKREATION in co-operation with BüroScholz and Sonja Perk-Bartz. 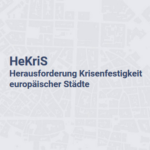 The website for research project "HeKriS - Challenges of resilience in European cities" is now online at resilient-cities.eu. Realised in charge of Institute of Environmental Planning of Leibniz University Hanover. The website for "Teilhabe - geht doch!" accessibility congress in Hamburg is now online. Realised in charge of SUPERURBAN. 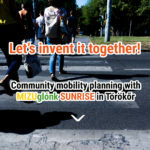 The crowdsourcing website MIZUglónk SUNRISE, collecting hints and ideas for sustainable mobility in Törökőr neighborhood in Budapest, ist now online. Realized as part of the SUNRISE project for urbanista. 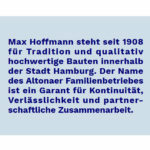 The new webste of Hamburg-based building company Max Hoffmann has been launched today: max-hoffmann.de. Realized in charge of urbanista. Seit August 2017 bearbeitet STADTKREATION im Unterauftrag von cappel + kranzhoff - stadtentwicklung und planung die Teilflächennutzungspläne Windenergienutzung, Gewerbliche Intensivtierhaltung und Freiflächen-Photovoltaikanlagen für die Gemeinde Schiffdorf. Arbeitsschwerpunkt: Erstellung der Planzeichnungen mit Abstandspuffern in QGIS. Since the end of August 2017, STADTKREATION works in close partnership with cappel + kranzhoff urban planning office in Hamburg-Altona. The project partnership currently includes special regional landuse planning issues as well as informal urban master planning. The new version 1.5 of "My Transit Lines" Public Transit Crowdsourcing Theme for Wordpress, developed by STADTKREATION, is now ready for download. Detailed information here. 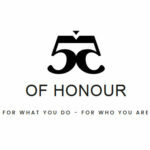 The website ofhonour.com has been published recently. The main product of the project is the so called "Bottle of Honour", a personalized drinking bottle that one can send to friends as a present. STADTKREATION implemented the "Wall of Honour" in charge of studiouna.de. The calendar for cycling planning and cycling politics events for Hamburg at moin.bike went online recently. It is maintained by "Moin Bike", an initiative of STADTKREATION, and supported by ADFC Hamburg. 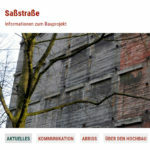 The information website for Bunker demolition and new development project Saßstraße in Hamburg ist now online. Design and technical realization for konsalt GmbH. The Instruments list of Klangmanufaktur has now been published. All instruments of the Hamburg-based Steinway restoration workshop are being presented in detail. Design: Büro KLASS. Technical realization: STADTKREATION. 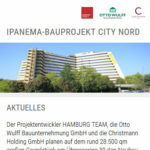 Website for information and communication regarding the demolition of the former post headquarters in City Nord district in Hamburg and new development project Ipanema in the area is now online. Design and technical realization for konsalt GmbH. 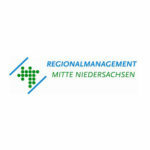 Johannes Bouchain held a keynote presentation about "Mobility chains in rural areas" in charge of Sweco GmbH during a Regionalmanagement Mitte Niedersachsen mobility working group meeting in Bruchhausen-Vilsen (Lower Saxony). Since March 2017 Johannes Bouchain works as auditor and consultant for bicycle-friendly employers in charge of ADFC for Hamburg area. More information at www.fahrradfreundlicher-arbeitgeber.de. The EU project SUNRISE - Sustainable Urban Neighbourhood Reasearch and Implementation Support in Europe started in May 2017. Using innovative, co-creative methods and tools, sustainable mobility solutions are being developed within example neighbourhoods in Bremen, Budapest, Jerusalem, Malmo, Southend-on-Sea, and Thessaloniki. Consulting for urbanista within an versatile consortium. STADTKREATION designed lareg for maps for use within gamified urban development methods by Georg Pohl - Ideen und Instrumente für Kooperation in Quartier, Stadt und Region. Produced using Openstreetmap data, example neighbourhood was the Stadium district in the north-east of Bochum. 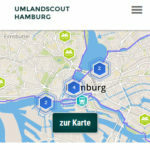 The new version of Umlandscout - Ausflugsziele in Hamburg und Umgebung has been published. Design and technical realization for urbanista in co-operation with We Build City. 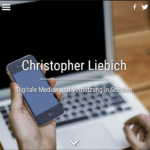 The new website for Christopher Liebich - Digitale Medien und Vernetzung an Schulen, realized by Stadtkreation, is online since a while. 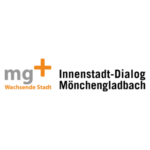 The co-creative website for "Innenstadt-Dialog Mönchengladbach" is online since today: www.innenstadt-dialog-mg.de. Realized for urbanista with the self-developed Wordpress theme "Nextseventeen". 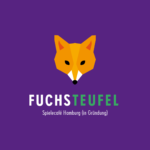 Fuchsteufel is the new Board Game Café in Hamburg. Still under establishment, but yet providing versatile possibilities for board game playing sessions. Just visit www.fuchsteufel.com. Stadtkreation provided its own Wordpress-Theme "Nextsixteen" and supports the development of the web presentation. The website of Flutist Barabara Kortmann has a new design since a few days, developed by Stadtkreation: www.barbarakortmann.de. Important additional information: Tomorrow, on Dec 29, 2016, the Stadtkreation website will move to a new technical environment. The RSS links will change, thus, the respective feed subscriptions will have to be changed. STADTKREATION - URBANES BEWEGEN says "Thank you!" for 2016 and is looking forward to continuing the good collaboration in 2017. Merry Christmas and a Happy New Year for all clients, partners, colleagues, and friends! 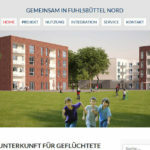 The website for new refugee homes in Fuhlsbüttel-Nord, a district in northern Hamburg, is now online: gemeinsam-in-fuhlsbuettel-nord.de. Realized in charge of SUPERURBAN PR. 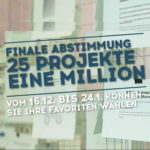 Vote now for your favorite projects up to a sum of 1 million Euros within "Deine Geest" project in the eastern part of Hamburg: deinegeest.hamburg. Realized for urbanista. 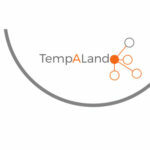 Online presentation for research project "TempALand - Living at multiple places" is now online at www.tempaland.de. Realized in charge of Institute for Environmental Planning of Hanover University. LXAMANHÃ, the Lisbon-based project in co-operation with Nexthamburg, is now online at www.lxamanha.pt with a new version. The website presenting the Integrated Development Concept for central Harburg district and eastern Eissendorf district in the south of Hamburg is online since a few. Realized in sub-commision for urbanista using the flexible Wordpress Theme Nextseventeen. The co-creative website zukunftsticket.berlin is now online. Realized using the co-creative "Nextsixteen" Wordpress theme, formerly developed for urbanista. The new web presentation for Nextzuerich has been published today. Realized using the "Nextsixteen" Worpress theme, developed by Stadtkreation for urbanista. Online since today: The voting tool for "Deine Geest" project, used to vote for citizen projects to be funded in the east of Hamburg. Realized for urbanista. stadtkommunikation.com has a new website! Online since September 2016: The new website for stadtkommunikation.com, realized by Stadtkreation. Design: Wolfgang Scholz. Logo: Ateliers Brömme. The website for Sozialen Stadt Moisling ("Social City Moisling" for Moisling district, city of Lubeck) is now online. Realized by Stadtkreation in co-operation with TOLLERORT - entwickeln & beteiligen. 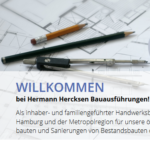 The online participation and information website for "KörberHaus" project in Bergedorf district, Hamburg, went live today: www.mitten-in-bergedorf.de. Realized for urbanista. Stadtkreation helped with the implementation of the new blog by Andreas Schmidt: www.klassik-begeistert.de. Website “Hameln 2030”: Now online including crowdsourcing module! The project website for Hamelin 2030 is online since a few days. Now including a crowdsourcing module that was realized in charge of urbanista. Stadtkreation travelled to southern Germany and Switzerland for a lecture and networking trip from end of May until beginning of June 2016. Lectures were held in Ammersee region (for urbanista) and at ETH Zurich (together with Nextzürich). Also, an exchange with WIRfel and K-Zeug projects in Munich and with Frieder Hartung planning office in Stuttgart were part of the trip (including the participation in th 3rd Stuttgart citizens' breakfast together with Salz & Suppe project). The Stadtkreation website has been re-structured concerning the contents. There are new sections for working fields, tools, and partners. But there are other changes as well. Subscribe to our RSS feed to always get our current news just in time. Also, the design has been slightly modified. Stadtkreation realized the new website for Forum Pergolenviertel in charge of konsalt GmbH. konsalt GmbH has been charged with the participatory process for ISEK Flensburg (integrated urban development concept), called "Perspectives for Flensburg". Stadtkreation designed exhibition posters, flyer and logo - in close co-operation with konsalt team. More information about "Perspectives for Flensburg". 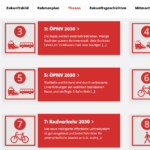 Now online: website www.sbahn2030.de for the Munich 2030 Suburban Rail Future Concept. Realized in co-operation with Stefan Baumgartner in in charge of Bavaria Green Party. The Camillo Sitte game is working again! For all of you who already wanted to play it and found that it's not working: Now, the Camillo Sitte game is fixed. Interesting as well for those who didn't know it so far. Stadtkreation designed and programmed the new splash page for MEIN-KLASSENZIMMER.DE interactive learning platform. 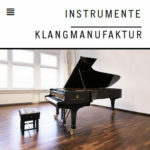 The website for Klangmanufaktur, a Hamburg-based workshop for the restoration of Steinway grand pianos, is now online. Realized by Stadtkreation in co-operation with Büro Klass. The crowdsourcing website for the integrated urban development plan for Villingen-Schwenningen is now online: vs-weiterdenken.de. Realized for urbanista. Online since a few days: Website Terra Real Estate in Buchholz in der Nordheide. Umgesetzt von Stadtkreation im Unterauftrag von SUPERURBAN PR. 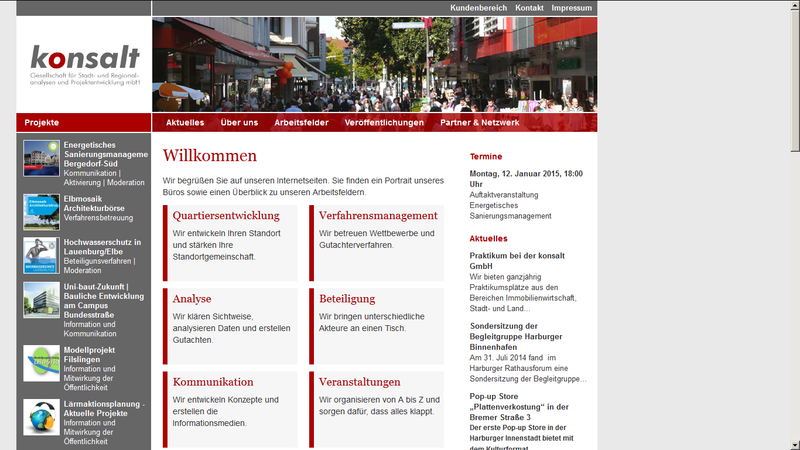 The website for planning and participation agency TOLLERORT entwickeln & beteiligen (Hamburg-Altona) is now online. Realized by Stadtkreation. On March 2nd, 2016, Stadtkreation participated in the 3rd workshop "Innenentwicklung" of Metropolregion Hamburg with a presentation of a local development project carried out in Bispingen in 2015. Online since today: Website with crowdsourcing module for participation process "Keitum im Dialog" - www.keitum-im-dialog.de. Realized by Stadtkreation in charge of urbanista. The website for "Forum BauKulturLand zwischen Elbe und Weser e.V." association is online since today: www.baukulturland.de. Realized by Stadtkreation. The website www.methfessel17.de with information about bunker demolition and housing project in Hamburg-Eimsbüttel district is online since a few days. Realized by Stadtkreationin charge of konsalt. Stadtkreation wishes joyful christmas days and a good year 2016! The new website of primary school "An der Haake" (Hausbruch district, Hamburg) is now online. Realized by Stadtkreation. Online since a few days: The new website of Hamburg-Eidelstedt professional school BS24. Realized by Stadtkreation within School CMS of Hamburg school agency. New website stadtkommunikation.com online since today. Realized by Stadtkreation in charge of Georg Pohl. Stadtkreation delivered technical support for the Squarespace powered website happygolucky.coach by Susanne Buckler - coach and designer in Berlin. Design: Lena Hanzel. Stadtkreation realized the new neighborhood map within the web presentation of Hamburg neighborhood management agency "Q8". The so called "Hinweis" is a monthly magazine in Hamburg, containing reports and an event calendar for local anthroposophic institutions. Stadtkreation realized the new web presentation. 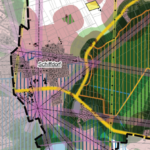 On Oct 13, 2015, Stadtkreation led the future workshop "Innenentwicklung" within an urban planning project in Bispingen (Lüneburg Heath south of Hamburg). You can find some information here. The website of N.N. Ghostwriting was adjusted to responsive design by Stadtkreation, including four layout types for different screen sizes. Now online: The information and participation website for "Tarpenbeker Ufer" project in Hamburg's Groß Borstel district: www.grossborstel-tarpenbek.de. Realized by Stadtkreation in charge of konsalt. The new website for "Stadtleuchten Karlsruhe" project is now online. A project within the ideas competition for 300th city anniversary KA2015 . Realized in charge of Nexthamburg. The web presentation for "Canteleu Quartier", a development project within Buchholz (small town south-west of Hamburg) has been published: www.canteleu-quartier.de. Graphically and technically realized in charge of SUPERURBAN PR. The new website of altonavi - information center and voluntary agency for Hamburg-Altona - is now online. Text and concept: Thomas Schulze. Design and technical realization: Stadtkreation. The website of Fusi & Ammann architects now has an extensive news section. Already in spring 2015 Stadtkreation has been commissioned with the planning for the center of Bispingen (municipality within "Lüneburg Heath" region south of Hamburg). nextwien.at is now online. Technically/graphically realized in charge of The Next Nextwork. Where do you want to go? An article about visionary alternatoves for Hamburg's officially planned U5 underground line was pubished in STADTLICHH magazine issue #19. In co-operation with Linie Fünf and Nexthamburg. Wo soll das neue Kreishaus in Itzehoe entstehen? Informieren und mitdiskutieren auf der von Stadtkreation im Auftrag von SUPERURBAN PR umgesetzten Internetseite www.buergerdialog-kreishausneubau.de. Zappendorf has got a new online presentation! zappendorf.info - A nice and informative new website for beautiful villages within the cosy Salzatal. Design: Till Brömme, realization: Stadtkreation. New website for Salveris – Peter Heil online! The new website for Salveris - Peter Heil is online since today. Texts: Katrin Keitel. Design: Ateliers Brömme. Programming: Stadtkreation. Stadtmacher - the platform for citizen projects is now onine and waits for being filled with projects. Stadtkreation participated in the realization in charge of Nexthamburg. Teilgenommen an den Panels "Das Potenzial von Social Media bei der Kommunikation von Großprojekten" und "Civic Tech und urbane Mobilität – Social Media Nutzung und mobile Apps verändern unseren Lebensraum". Location: "Der Hanseat" - historischer U-Bahn-Wagen im Bahnhof Schlump. Ein Rückblick. Project website “Eggerstedt 51” now online! The year 2015 has made a great progress already. Many interesting projects started recently. And the first project of the year has been finished today. Another bunker destruction with a following construction of new appartments. This time in Hamburg's district of Altona-Nord. The project information website (created in charge of konsalt) is online since today: www.eggerstedt51.de. The new web presentation of konsalt GmbH is now online! The last project of Stadtkreation in this year has come to a happy end: www.konsalt.de appears now in a fresh new way. And by the way: Stadtkreation wishes all clients, partners, friends and colleagues joyful christmas days and a good start into the new year. On Nov 27, 2014, Anna Wildhack and Johannes Bouchain participated with a presentation about Nexthamburg and Stadtmacher in the Symposium "Who Designs the City?" of the KISD in Cologne. Stadtkreation was charged with the programming of Nextbangalore Gatishil, the new online presentation of the Nextbangalore project. An interview with Johannes Bouchain about mobility and urban planning was published in the fall/winter 2014 issue of "ACHT" magazine by Hamburger Volkshochschule. The second phase of Nextsuisse is online since a while. Create you own scenario! Linie Plus | Berlin - the collaborative future strategy for Berlin's and Brandenburg's public transit - is now online. Participate by adding your own proposals! The "Tunnel Seppenser Mühlenweg" project website is now online: www.muehlentunnel-buchholz.de. Realized by Stadtkreation in charge of SUPERURBAN PR. The public participation website Mein Ammersee 2020 is now online. The online participation platform Nextsuisse - Wie wollen wir die Schweiz weiterbauen? is online since Sep 08, 2014. Stadtkreation realized e.g. the blog in charge of The Next Network. Now online: Website LUDIBOX - Spiele und Kommunikationsinstrumente, designed and programmed by Stadtkreation. Stadtkreation helped with the Steup of the new website for the citizens' initiative IPROB – Initiative PRO Buchholz. The project "Linie Fünf" (Line Five) re-started with an extended strategy. Participate by proposing new lines for Hamburg's future mass transit! The first website of the "Stadtmacher" (Citymaker) project is now online, including exciting information about the project. Official start of the project is fall 2014, but already now the website is worth a visit. Realized for Nexthamburg. Design: Pierre Schrickel. Phase 4 of “Bremen bewegen” now online: Which measure will be implemented when? Phase 4 of the project "Bremen bewegen" (Moving Bremen), the participation project for the Bremen Transport Masterplan, is now online. Have a look and participate: www.bremenbewegen.de. Realized in charge of Nexthamburg. 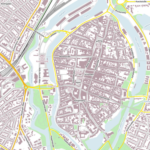 The project Opengeofiction was presented on June 13, 2014 by Thilo Stapff and Johannes Bouchain at SotM-EU, the European Openstreetmap conference, in Karlsruhe. See the Video of the presentation here. 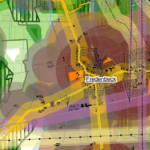 The website www.leiser-ist-das-ziel.de - Model project Noise Action Planning in the municipalities of Eislingen, Salach and Süßen in Baden-Württemberg - is now online. Stadtkreation realized the project graphically and technically for konsalt GmbH. Online since today: The new version of the website Storybox - Tell me your story, realized by Stadtkreation. In charge of konsalt GmbH, Stadtkreation realised the information and participation website for the flood protection concept Lauenburg/Elbe. For konsalt GmbH, Stadtkreation programmed and designed the new information and participation website for the "Forsmannbunker" project in Hamburg's Winterhude district. The website has been online until fall 2016. Light rail? Or more metro lines? What does Hamburg's mass transit need in the future? Both together would be best. Flexibly extensible. That's why there is the "Linie Fünf" project now. Get informed, discuss, post your own proposals: www.liniefuenf.de. A project by Nexthamburg and Stadtkreation. Online since today: the new website of Georg Pohl - Ideas and instruments for co-operation in neighbourhood, city and region: www.georgpohl.de. Design: Büro Scholz. Programming (using CMS Wordpress): Stadtkreation. PS: Stadtkreation wiches you Happy Easter! Bremen bewegen – Create your own scenario! Until the end of april 2014 you can create your own mobility scenario at bremenbewegen.de. Just try it - it's fun! Online since today: The website for the public participation process "Zukunftsplanung Eidelstedter Zentrum". Realised for raum+prozess in co-operation with Nexthamburg. Stadtkreation is back in Hamburg! Stadtkreation is based in Hamburg again. In the nice district of Eimsbüttel. The new address: Schäferkampsallee 48, D-20357 Hamburg. How can technology improve your urban life? Tell us your need or your solutions on nexteuropeancity.net. Programmed and designed for Nexthamburg. Stadtkreation wishes all clients, partners and friends a good and successful year 2014! The "Firebirds & Catfish" have their own website now: www.firebirds-and-catfish.de - the online presentation of the jazz band was designed and programmed by Stadtkreation. The right place for ideas for the city at the Limmat river: Nextzürich. Programmed in charge of Nexthamburg. New online: Website "Harburg neu denken" for the inner-city dialogue for Hamburg's Harburg district. Programmed for Urbanista in charge of Hamburg-Harburg district administration. Nextkassel - Kassel in the heart and the head full of ideas? Share your idea and show us the Kassel of tomorrow. The website of N.N. Ghostwriting is now online. Design: Ana Laura Campos & Kerstin Inga Meyer. Programming: Stadtkreation. Now online: the Opengeofiction project. A geofiction environment using the Openstreetmap system, initiated by Thilo Stapff and Johannes Bouchain. For Nexthamburg, Stadtkreation realized the website for the second phase of the "Bremen bewegen" project. The main question of the second phase is: "What are the scenarios to use in the further work?". Special element of the presentation is the creative scenario visualisations with different clickable elements. Johannes Bouchain and Elena Mozgovaya participated for Nexthamburg in the seminar "Redevelopment. Civic Participation. Sustainable Development" in Perm (Russia), Jul 23 - Jul 25, 2013. They presented the Nexthamburg project and were the overall directors of the seminar. 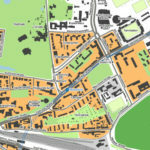 The online participation wesbite for Lärmaktionsplanung Bochum (noise action planning Bochum), realized by Stadtkreation in charge of konsalt, has been published today. Now online: German place name generator! The German place name generator is now online. Another project in co-operation with Arend Kölsch. Greetings from Vierenwalde, Landkreis Krubisweiler! Which places in İstanbul need to be preserved? Which places should change? These are the questions of the new website nextistanbul.org. Online since yesterday: the new website of Nexthamburg, programmed by Stadtkreation, based upon the Wordpress theme of mono.berlin und liquidinterface..
Der website for STORYBOX has been published today. Website made by Stadtkreation in cooperation with Till Brömme (design). A project by Georg Pohl, in cooperation with Netzwerk Agens and others. Stadtkreation realized the participation website for the ISEK (Integriertes Stadtentwicklungskonzept, integrated urban development concept) in Buchholz (Nordheide), some 30 km southwest of Hamburg. The project was realized in charge of Superurban and with a participation platform from Nexthamburg. Since today, “A Cappella Chor Zürich” has a new website! Der von Stadtkreation realisierte neue Internetauftritt des A Cappella Chores Zürich ist heute online gegangen. Now online: Nextsavamala - the website for crowdsourcing of visions for Belgrade's "Savamala" neighborhood, programmed by Stadtkreation for Nexthamburg. The participation website www.ideen-fuer-stellingen.de, realized by Stadtkreation with Superurban for the district administration of Hamburg-Eimsbüttel, is now online. Stadtkreation is charged with the redesign of the website for A Cappella Chor Zürich. Now online: New website of Netzwerk Agens e.V. New design for website of Netzwerk Agens e.V. Stadtkreation is charged with the programming of the new website for Netzwerk Agens e.V. In cooperation with Katrin Keitel (texting) and Atelier Till Brömme (design). Have a good start into the the year 2013! Stadtkreation wishes everybody a good start into a successful year 2013! The website for "Buchholz Dialogues" (Buchholz Dialoge) has been published today. Programmed by Stadtkreation in charge of SUPERURBAN PR. Bikway, the young startup company from Copenhagen, will be in Hamburg's Oberhafen district Dec 1st and 2nd 2012. They will present their concept and further develop their ideas. Johannes Bouchain andLuis N. Filipe presented two citizen's ideas platforms for the future of the city at Cidadania 2.0 in Lisbon: The Hamburg example Nexthamburg and the Lisbon project LXAMANHÃ that was inspired by the German one. Hamburg's upper harbour area is a creative district and many questions about the future role of this part of the city are being discussed. At the MiniPOSIUM that took place at Oct 25, 2012, Beate Weninger presented about The Power of Maps, Johannes Bouchain about the relation between map and territory and his Urban Geofiction works, and Micha Becker presented the historical and cartographical development of the district. Now online: The first version of the website for BIKWAY, a Copenhagen based company that is working on a modular bicycle lane system. The website was designed by Stadtkreation. The new website of flutist Barbara Kortmann, programmed and designed by Stadtkreation, is now online. Visit the nice website "Beagraphy - Reflections on cartography and maps (for public participation)" of Beate Weninger, a partner of Stadtkreation in cartographic issues. On the website lxamanha.pt, the citizens of Lisbon can now make propositions for improvements of their city, either for a specific location or in general for the entire city. A project by Johannes Bouchain and Luis N. Filipe in the context of Nexthamburg. Desde já muito obrigado pelas suas propostas! An article with a general overview of the current public transit development in Lisbon, written by Johannes Bouchain and Luis N. Filipe, has been published in the German public transit review "stadtverkehr", issue 7-8/2012. See publications and contents of the issue. Now online: The participational website "Ideen gegen Lärm" (ideas against noise) for noise action planning of the city of Braunschweig. Urban Geofiction, the collection of imaginary cities, has been redesigned and functionally extended. The new version of the website stadtspieler.com has been published today. New look, new contents! The new website of DASL Nord (German Academy for Urbanism and Spatial Planning - Regional Group North) has been published today. The website of writer Cornelia Manikowsky from Hamburg has been launched today. Sagen Sie ja zum Kopfbahnhof 21! Sie sind in Baden-Württemberg gemeldet und Ihnen liegen Transparenz, Kostenwahrheit und (verkehrliche) Effizienz am Herzen? Dann los: Ihre Stimme zählt! Sagen Sie "Ja" zum Ausstieg - "Ja" zum Kopfbahnhof 21. On Nov, 3rd and Nov, 4th 2011, Johannes Bouchain was leading a workshop about "Open Source Planning Tools" at the LASKO 2011 in Vienna. Stadtkreation is charged with programming and design of the web presentation for the author Cornelia Manikowsky from Hamburg. Since Oct 01, 2011 full-time freelancer again: webdesign, urbanism... and currently preparing a workshop for "Open Source Planning Tools""
Gut durchdacht und ein unbeschreiblich hoher Mehrwert gegenüber der offiziellen Planung: das Konzept "Bahnknoten München (BKS 2011)". Stadtkreation is charged with the relaunch of the website for DASL Nord (German Academy for Urbanism and Spatial Planning). 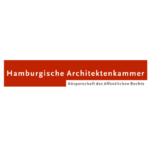 The new web presentation of the architecture office Fusi & Ammann Architekten in Hamburg is now online. Since March 2011: Employee at SUPERURBAN PR as PR consultant. Stadtkreation is charged with the design and programming of the website for Fusi & Ammann Architects, Hamburg. Stadtkreation wishes you Merry Christmas 2010 and a good start into a successful year 2011. Über die Variante "Teilausbau Südring München", die auch unter www.stadtkreation.de/suedring zu finden ist, wird am Sonntag, 19.12.2010 um 18:05 Uhr in der Sendung "Schwaben & Altbayern aktuell" im Bayerischen Fernsehen berichtet. 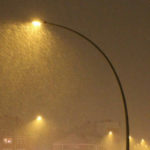 The blog “365 ideas for Hamburg – Green Capital 2011” is now online! Now online: the blog 365 ideas for Hamburg - Green Capital 2011, a campaign of the "Stadtspieler" project. Web presentation for Gebeke Verpackungen GmbH online! The web presentation of Gebeke Verpackungen, the specialist for pharmaceutical packaging, is now online. On Fri, Oct 15, 2010: Positive result of the cost benefit analysis for the Hamburg Light Rail project. Stadtkreation is looking forward to the construction of this new and useful mode of transport. The current issue of the transportation planning journal "VERKEHRSZEICHEN" includes a new article by Johannes Bouchain concerning the Hamburg light rail project. Details about the publication. The new web presentation of konsalt GmbH is now online. Here you can find a Screenshot of this version of the website. A new version of www.konsalt.de is online since Dec 22, 2014. Now online: the new web presentation for speech therapist Ilka Mono. Stadtkreation realizes the web presentation for the International Summer Academy Lüneburger Heide (technical part). More details coming soon. Design: Arend Kölsch. The English version of Stadtkreation Urban Geofiction is now online. And by the way: Welcome to the year 2010! On the Munich pages you'll find the statement of the Munich southern S-Bahn bypass working team to the official expertise about the second S-Bahn main route as a southern ring (German). The collection of imaginary cities has been redesigned and extended: Stadtkreation - Urban Geofiction. The newest city project by Johannes Bouchain: Forberg. Publication of two articles about urban planning issues in Hamburg published in Raumplanung, issue 146. More information at the publications page. Stadtkreation designs the web presentation for the package printing company Gebeke Verpackungen in Horst (Holstein). Nexthamburg - Session No. 2: "Grand Prix of the ideas", Oct 27, 2009 at 6pm, "Museum für Hamburgische Geschichte". Just visit www.nexthamburg.de. Stadtkreation takes over the redesign of the web presentation for the office "konsalt - Gesellschaft für Stadt- und Regionalanalysen und Projektentwicklung mbH" in Hamburg-Altona. Stadtkreation realizes an Online Card Game about Climate Change, a "Global Education" project of the ASA program. Future Hamburg light rail will make it via Winterhude Market Place! Hamburg: The new Light Rail - opening 2014 - will make it via Kellinghusenstraße metro station and Winterhude market place! See also the detailed statement of Stadtkreation to the different options. Stadtkreation revises the web presentation of the planning office Düsterhöft (www.duesterhoeft-hh.de) and implements the Content Management System WebEdition to it. Since June 2009: Freelancer in the office SUPERURBAN. Stadtkreation realizes the web presentation for the board game stadtspieler (cooperation with Atelier Till Broemme). Stadtkreation realizes the frontend programming for the web presentation of the new initiative "Nexthamburg" (www.nexthamburg.de). Stadtkreation designs the web presentation of flutist Barbara Kortmann. See screenshot 1 and screenshot 2. New website since october 2012. From November 2008: Freelancer at the planning office BPW Hamburg. Stadtkreation designs the web presentation for the "Gemeinnützige Treuhandstelle Hamburg e.V." together with Atelier Till Broemme (Zappendorf). New presentation of Stadtkreation now online. Stadtkreation designs the new web presentation for architect Marc-Olivier Mathez. Now online: The web presentation for the project Stadtbahnqualitäten (Light Rail Qualities). Now online: The chronological map of the Hamburg underground network. A project by Johannes Bouchain. In mid-october 2003, the first version of the Stadtkreation website was published. Initially, it was a presentation platform for imaginary cities.